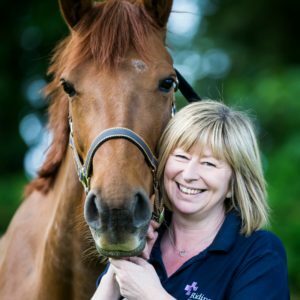 Ridings Equine Vets offers a range of visit options to suit your needs. Our routine visits are provided 9.15 – 5pm Monday to Friday and 9 – 11am on Saturday mornings. Our standard visit fee is £50 and we try our best to give you an accurate time for your appointment and will contact you if we're running more than 15 minutes late. We operate a zone visit scheme where we work in your area on the same day each week and offer a reduced visit fee. Please see our map to check on what day your zone visit falls. Zone visits are on a set day and for appointments between 9.30 – 4.30pm with a pre determined veterinary surgeon. If you require a different vet or a later visit then our standard visit fee applies. Zone visits are suitable for routine appointments such as vaccinations, dentistry, clinical examinations and blood tests. We do not perform gastroscopy, pre purchase examinations or lameness investigations on zone visits as these procedures generally take longer and can limit other clients being able to have a zone visit. Please give at least 24 hours notice for zone visits as they are very popular and booked on a first come first served basis. If you're on a livery yard with more than 5 registered clients why not join our Yard Visit Scheme where we will visit your yard on a set day and time each month and there is no visit fee. The Yard Visit Scheme means never having to pay for a visit fee for routine work and minor niggles that can be booked and planned in advance. Please contact us if you would like to set up a Yard Visit Scheme for your yard. You can save the visit fee altogether by bringing your horse to us at the practice. We have full in-patient facilities, stocks and an examination area. We work bank holidays (except Christmas Day, Boxing Day and New Years Day) with zone visits, yard visits and standard visits going ahead as normal. Our emergency service is available 24 hours a day 7 days a week. If you have an emergency call 07747771182 to speak to the duty veterinary surgeon. An out of hours supplement of £50 is charged for emergency visits outside of our normal working hours Monday to Friday 9 – 5.30pm and at weekends. We operate a zone visit scheme. Please see the map to see which zone you fall into. If you're close to the border you can choose which zone to be in. Our area is divided into three zones with zone visits on Monday, Tuesday, Wednesday and Thursday. Please call us before 5.30pm the day before your zone visit day. You can let us know whether you would prefer morning or afternoon.